BEIRUT (AP) — Rebels occupied Sunday parts of a military air base in northern Syria after days of fighting with government troops who have been defending the sprawling position for months, activists said. The Britain-based Syrian Observatory for Human Rights said rebels moved deep inside Mannagh air base, near the border with Turkey, despite fire from government warplanes. The Aleppo Media Center says rebels captured a tank unit inside the base and that the base commander, Brig. Gen. Ali Salim Mahmoud, was killed. The fighting came hours after Israeli warplanes struck areas in and around the Syrian capital, setting off a series of explosions as they targeted a shipment of highly accurate, Iranian-made guided missiles believed to be bound for Lebanon's Hezbollah militant group, officials and activists said. The attack, the second in three days and the third this year, signaled a sharp escalation of Israel's involvement in Syria's civil war. 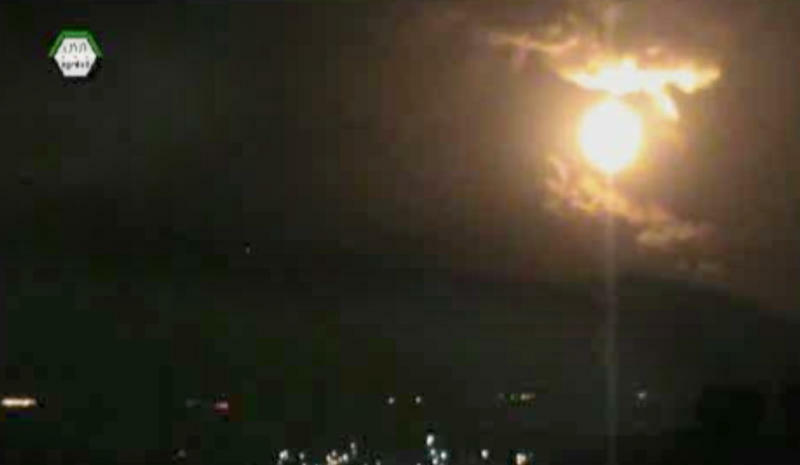 Syrian state media reported that Israeli missiles struck a military and scientific research center near Damascus and caused casualties. Rebels have launched a wave of attacks on military air bases around the country in the past months in an attempt to deprive the army of a key weapon used to target anti-government forces. The Observatory said rebels also fired mortar rounds at the Abu Zuhour air base in northwestern Idlib province. It did not say if there were casualties. The Local Coordination Committees, another activist group, said Syrian warplanes bombarded the northern Damascus neighborhood of Qaboun. It also reported air raids on the northern province of Raqq and the eastern region of Deir el-Zour. The Syrian conflict started with largely peaceful protests against President Bashar Assad's regime in March 2011, but eventually turned into a civil war that has killed more than 70,000 people according to the United Nations.